Gallery | "Get Up and Get Moving"
Devin Alexander is the host of the Healthy Decadence on Discovery Health. 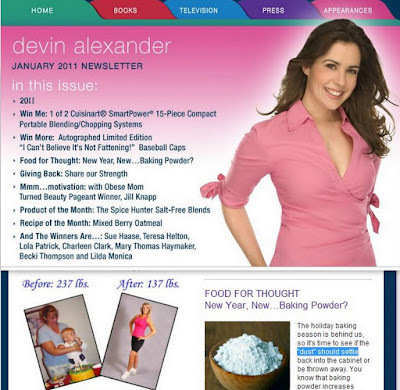 She is also the cook book author of Biggest Loser Family Cook Book and the Biggest Loser Dessert Cook Book. Thank you Devin for featuring me in your newsletter. 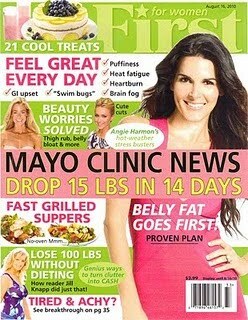 Featured on Cover and in National Magazine “First for Women”. I feel so blessed to be on the cover of First for Women magazine. You also can find my story on the inside on page 26. Thank you for all the nice e-mails. I am so glad I have been able to help others by sharing my journey with First for Women. Click here to read full article. Jill Knapp Featured on Kick Into Fitness! Featured on Girl Get Strong! Thank you Girl Get Strong for having my story featured on your web site.